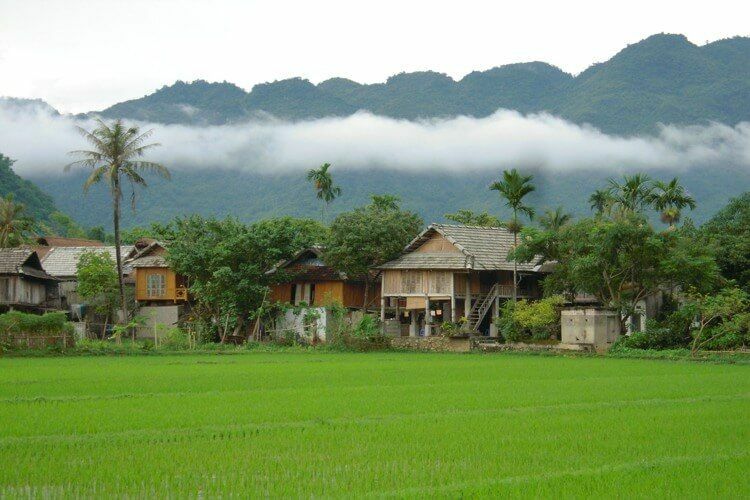 Yen Bai province's Nghia Lo town is a destination for those who want to see the culture and daily life in Vietnam's mountainous but spectacular northwestern region. 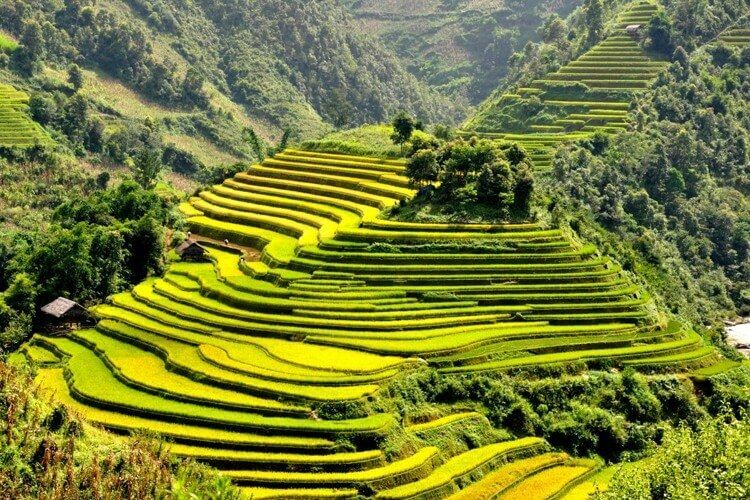 Nghia Lo, with a population of 30,000, is tucked away in a big, flat valley called Muong Lo and offers a lot of experiences to tourists. 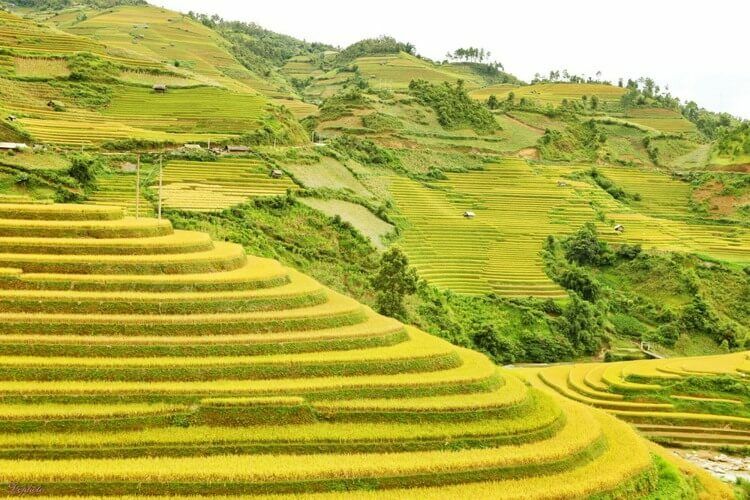 It is second only to the Muong Thanh valley of Dien Bien province in terms of size and is surrounded by unlimited chains of mountains. Let’s make a journey to the town by coach to have the best opportunity to see the spectacular views of the region. 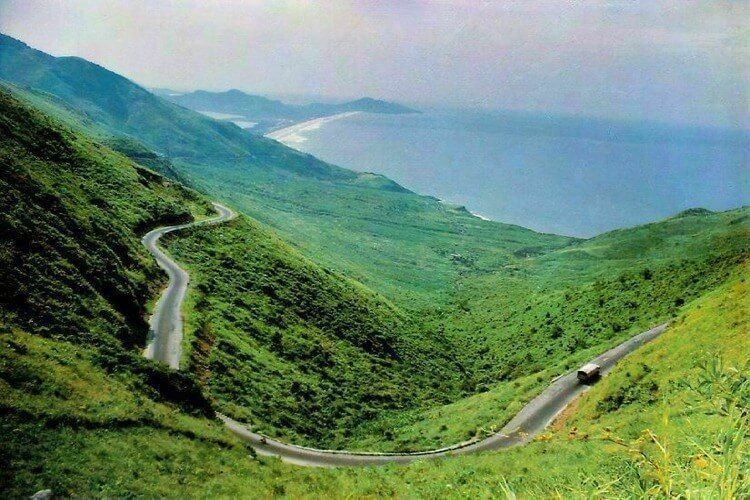 Nghia Lo is just about 200km from Hanoi but after half-way, the coach winds through passes which zigzag through endless ranges of mountains. After passing through populous and urbanised towns in the lowland areas, the coach goes through the mountain passes that are up to 1,000m above the sea level. Breathtaking views can be seen here, with mountain slopes and valleys far below, plus scattered houses-on-stilts of ethnic minorities. At another section, tea gardens and small streams come into view, an infinite green of trees, bushes and fresh air. 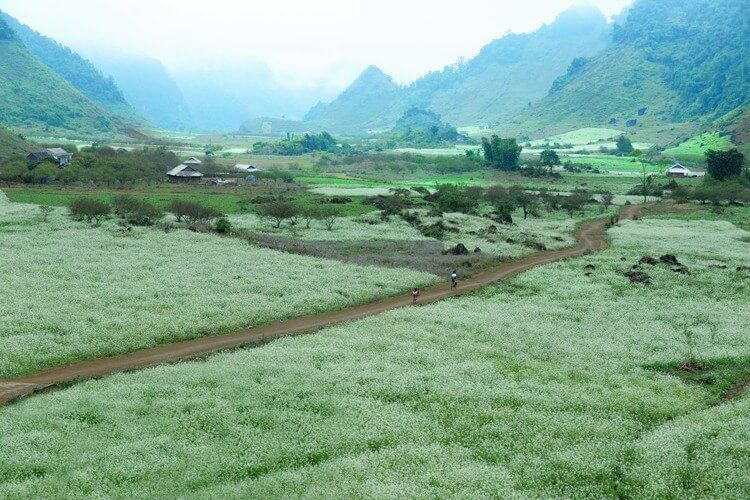 After nearly three hours of experiencing gorgeous views of a spellbinding nature, Nghia Lo is here in a huge valley. Being the second largest town in Yen Bai, Nghia Lo sees its centre as bustling and vibrant as any other town in the Red River Delta in the north, if not to say more colourful. It is home to various ethnic minorities and was once the biggest trading centre of the northwestern region. 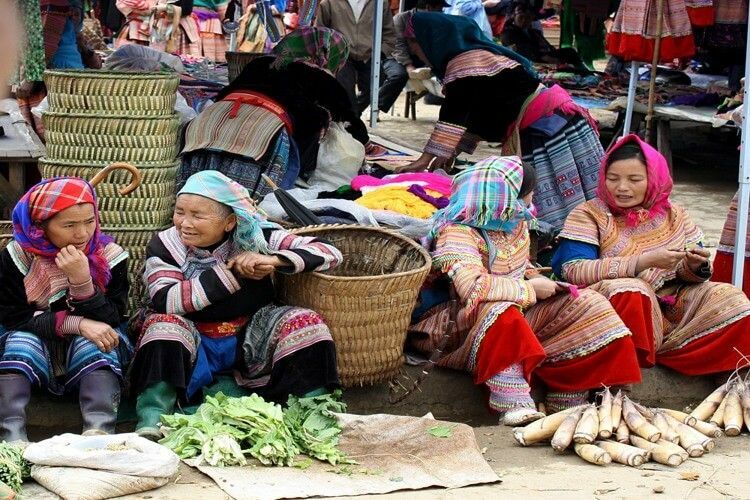 The first place to visit is the Muong Lo Market in the centre of the town. It was once the biggest market in the whole region and is now the commercial hub of Yen Bai's western region. Almost everything is on sale, such as household goods, ready-made clothes and luxury kitchenware. The most interesting item of the market, which either does not exist or is rarely seen in markets in the lowland region, are booths where husbandry tools are piled up. Strolling along the paths that cross each other like on a chessboard, and much like a miniature version of the famous Dong Xuan Market in Hanoi, there are hoes, hatchets and machetes, different kinds of baskets and barbed wires for making fences. "Most of the tools and equipment used for farming that can be found in the local market are produced by residents from around the region," said a booth’s owner. "There are decent numbers of foreign tourists visiting the market, most of them Germans and French," she said. "The market becomes even more colourful and vivid in the days approaching Tet when people from all the ethnic groups flock to the town to exchange and trade goods for the year's most important festival," said Nguyen Van Luyen, a local resident. While the Muong Lo Market sells goods for households and farming, a few hundred metres away down the street is another vibrant market of the same size, selling food, specialties and flowers, such as tho cam, a kind of brocade cloth, com lam which is rice cooked in tubes of bamboo or five-colour sticky rice. Situated a few kilometres from the centre of the town is a hot spring, the water of which is believed to cure arthritis. The spring's warm water allows people to apply it directly. However, the water is still being used by the local people only and has not been tapped for its health benefits yet. "Many old people in the valley come here to bathe every few days. The water is very good for the health and skin,” a local resident said, adding that bathing regularly in the stream for a period of time can cure arthritis for the whole year. 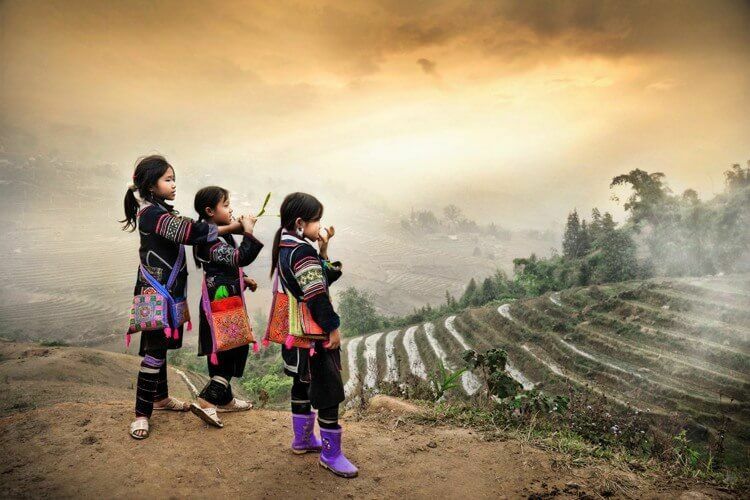 From Nghia Lo, there are numerous interesting destinations for visitors, including Suoi Giang, about 12km away, with old tea trees which are hundreds of years old, Mu Cang Chai, 100km away, nationally-recognised as a vast area of terraced paddy fields, and famous tourist site Sa Pa, which is around 200km further north.